This is a Burton type wagon, built in approximately 1904 by Henry Jones & Son of Blue School Road, Hereford, England, the builder’s name being engraved on the wheel hubs of this rare exhibit. 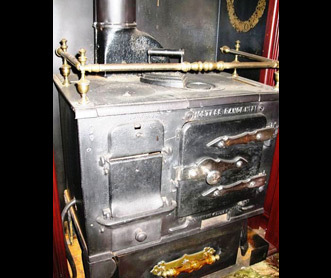 Henry Jones built his first living van around 1881. 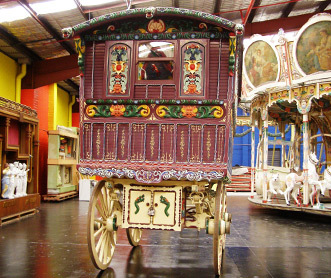 He sold his wagons to Gypsies and hawkers and he was also the main supplier to showmen in the south west. 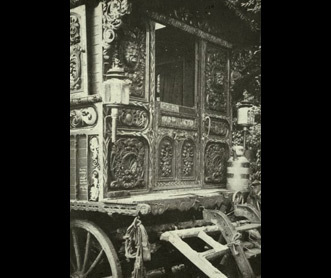 Henry Jones was a master craftsman and his wagons were well known for their carvings. His signature note was harps, fiddles and dragon heads, all carved with great detail. 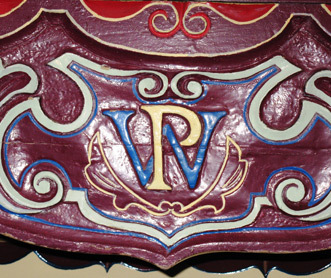 Our showman’s wagon is very ornate, and the carved work includes the monogram WP at the back of the wagon. 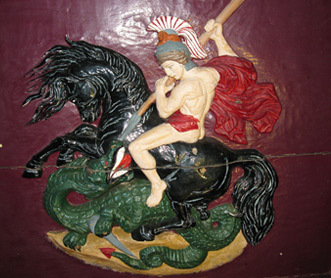 A superb carving depicting St George slaying the dragon fills the bottom half of the door, carved in one piece. 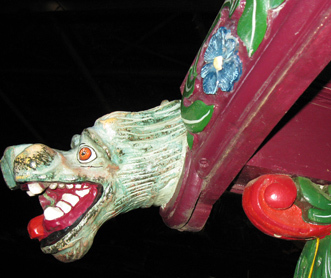 Ornate carvings which almost completely cover the exterior of the wagon include the heads of lions grasping rings in their mouths and “green men”. Other designs feature flowers, vines, bunches of grapes, and ornate heavy porch brackets. Ornately carved wheels are protected from damage by the iron rims protruding well past the wheels. 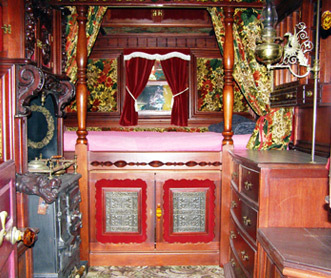 The interior provides comfortable accommodation with furnishings in the traditional style, with authentic stove, angel lamp, heavily carved dragon heads, flowers and fruit. Posts and curtains separate the sleeping accommodation from the main living area. 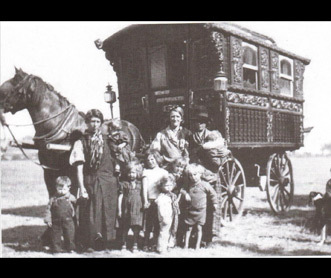 Peter Ingram (Gypsy Museum, High Street, Selbourne England) owned the wagon until 1987. In 1987 Colin King purchased the vardo from Peter Ingram. Colin spent 5 years restoring it. During the restoration work, careful removal of layers of old paint has revealed that much of the carved work was originally covered in gold leaf. 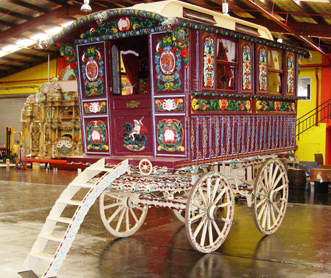 In 1993 the wagon was sold to Fred Sawyer of London, who later relocated to Sydney Australia, and then to Marysville in Victoria where he established the Marysville Museum. 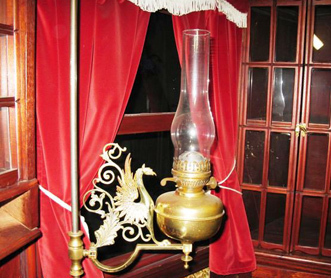 On 7 February 2009 Marysville Museum was one of the few buildings in the township to escape the Black Saturday fire. Miraculously, the building in which the vardo was housed was virtually untouched; its spirit of survival is obviously still present.